As most people who live with a dog know, dogs understand what it means when a human points. According to Professor Richard Byrne from the University of St. Andrews in Scotland: “…Even our closest relatives, the great apes, typically fail to understand pointing when it’s done for them by human carers; in contrast, the domestic dog, adapted to working with humans over many thousands of years and sometimes selectively bred to follow pointing, is able to follow human pointing – a skill the dogs probably learn from repeated, one-to-one interactions with their owners.” While the fact that a dog understands what it means when a human points is fascinating in and of itself, what’s even more impressive is that dogs can also follow a human’s gaze. Gaze following is not a learned behavior, it is instinctual. Gaze following helps alert animals to danger and resources. In the past it was believed that dogs would only follow a human’s gaze when food or toys were involved. That is, until a study proved that dogs can also follow a human’s gaze into blank space – but only untrained dogs can do this. Though it may sound odd that an untrained dog would do better, think about it. One of the first things we train a dog to do when obedience training him is to teach him to give us his undivided attention. We encourage the dog to “look at us”, to make eye contact. In essence, we inhibit his gaze following behavior. In a study published in August of 2015, researchers examined the question of whether gaze following was affected by the dog being trained to pay attention to humans. 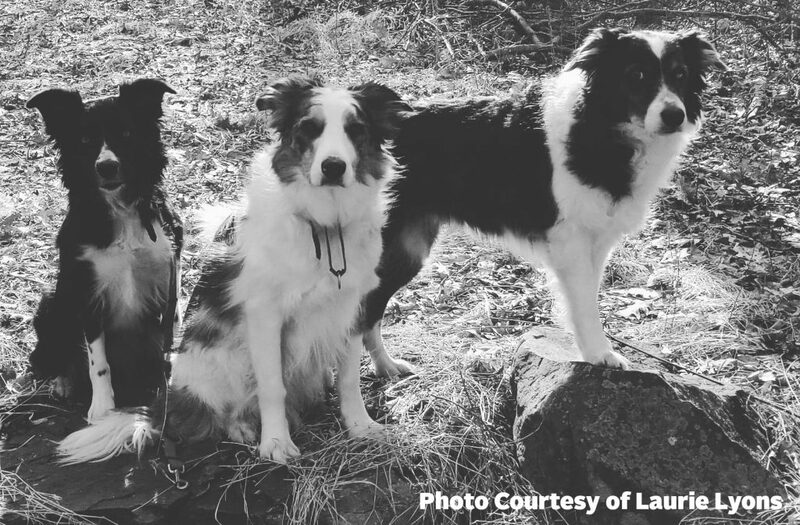 Researchers studied 145 Border Collies, all the dogs had different levels of training. The dogs were aged 6 months to 14 years. Researchers wanted different ages represented to examine if they were affected by a longer or shorter time living with humans. They registered the dogs’ gaze following response before and after training for eye contact with the experimenter. It was compared to a second group of 13 Border Collies who had been trained to touch a ball with their paw. 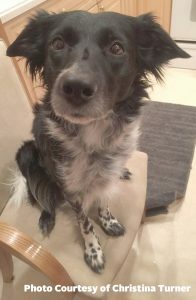 They found that extensive formal training for eye contact decrease the dog’s tendency to follow a gaze and increased the amount of time the dog would gaze at the experimenter’s face. Short term training for eye contact had the same effect of decreasing gaze-following behavior. 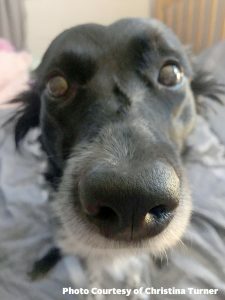 The researchers concluded that training for eye contact and attention created a competing tendency for a dog to fixate on a human’s face, which inhibited the dog’s desire to follow a gaze, especially into space. Researchers in this study also concluded that this might explain why dogs perform poorly in this sense, as compared with other species, such as apes, domesticated goats, some bird species, wolves, etc. So the next time you find your dog following your gaze into space, it probably means he needs more obedience training. Pull out the treats and start training.